Using the Raspberry Pi and Scratch to make LEDs light up @Raspberry_pi #piday #raspberrypi « Adafruit Industries – Makers, hackers, artists, designers and engineers! Simon Walters at Cymplecy has modified Scratch so it can be used to control the GPIO pins. 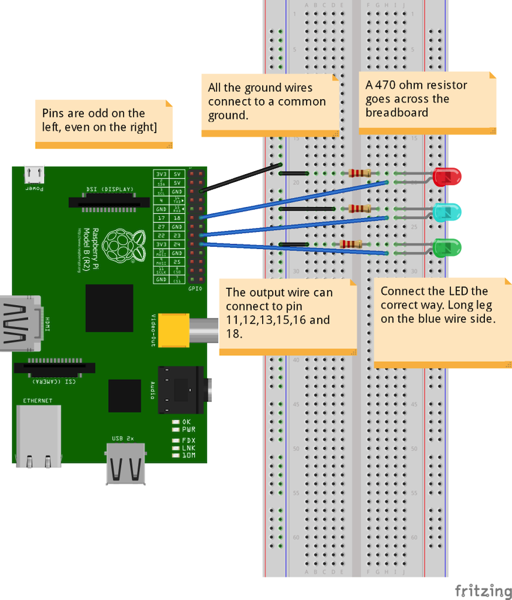 In this tutorial, I will show you how to control the LEDs through Scratch and the Pi. Follow the instructions at Cymplecy to install Scratch GPIO on your computer. Once installed, start it up and you’ll see it looks similar to Scratch.